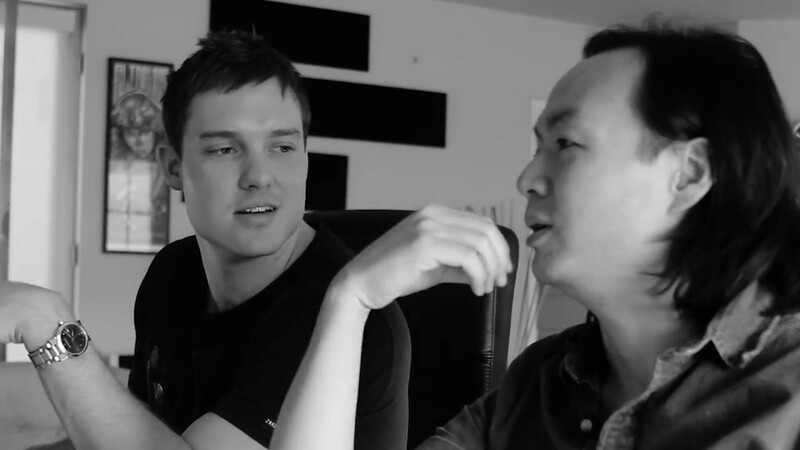 Australian superstar, Tyson Illingworth, better known as tyDi is back with a brand new album “Collide”.We use the opportunity to sit down with the man of the hour to get him answer some questions about how the album was conceptualised, a track from the album he connects the most to and his definition of success amongst a lot more! Read on! Hi Tyson! Thank you so much for taking out the time to sit with us! Congratulations on the release of your latest album “Collide”. How have your fans received your album? Has it matched your expectations? My fan’s reception to this album has been incredible! Honestly I really didn’t know what people would think of the new sound – Mixing electronic music with an entire orchestra has always been a dream of mine, but I wasn’t sure how my followers would receive it. I was extremely nervous on the release night, but within one day the album hit #2 on the top iTunes Dance Albums in America, also in many other countries. That’s when I really felt the stress go away. People’s comments, reviews and even the media reviews have been nothing but positive. The album also made it into the BILLBOARD charts for top selling dance album as well as top selling classical album. I think that’s a world first?! To see it in such polar opposite charts at the same time blew my mind. It took you 3 years to produce this album and we see you delving more into the orchestral sounds with this album. How did the idea come about? The idea actually came to me 12 years ago when I was studying my bachelors degree in music back in Australia. I was recording live orchestras and always wondering how I could blur the line between classical music and electronic. It just took a lot longer in my life to be able to have the resources to achieve what I needed to do. How did the collaboration with Christopher Tin happen? I met Christopher Tin through Warner Brothers music, I heard some of his work and immediately thought “This is the guy who can help me make it happen!”. So we took a meeting in Beverly Hills and during our chat discovered we had a mutual friend, BT. It turns out I had produced quite a few songs with BT and Chris had orchestrated his Electronic Opus album. From there it was just about starting one song, then finding out how we could work the best together. We spent all of 2017 finishing the orchestration and mixing it with the pre-made dance songs that I had been working on for the 2 years prior. So everything just fell into place! What is the idea behind the name “Collide”? It’s an album that smashes different worlds together, classical and electronic. Put simple, a ‘Collision’ of polar opposite styles of music. Which is one track from the album you connect to the most and why? Probably ‘Can’t Look Away’. There’s a lot of personal meaning to that song – I actually wrote it with the vocalist in a swimming pool 2 years ago!! To this day it still gives me chills, and the orchestra just sounds massive. We have seen you experimenting with different sounds constantly and we have seen that you are not tied down to one specific genre. Yet, you have managed to establish your signature sound!How do you maintain your versatility as a producer? Good question! I think that my whole life philosophy has been to forever change and challenge myself in the studio. I’d get bored doing the one sound over and over – Mixing it up and making projects that are bigger and bigger every time is what keeps me passionate. Passion drives me, and it’s the reason why I always push myself to work harder. I think my ‘signature sound’ is in the way I produce electronic music, no matter how hard I try to change it up, or add an entire orchestra, there’s just always going to be a ‘tyDi’ sound that shines through. If you had the chance to play a B2B set with any artist, who would it be and why? Probably Porter Robinson, I’m a huge fan of his work and I think we both love melodic songs that evoke emotion. Can we expect you to take “Collide” and go on an album tour? What are the places you would be looking forward to take “Collide” to the most? This is something I’m certainly looking at – I’d love it to be ‘Collide LIVE’ with a sizeable orchestra with me. Passion… Some people could say ‘money’, but that’s not why I’m in this. If all I did was make songs purely to make money I’d probably lose my mind. I’m completely happy knowing that my music changes people’s lives and moves them, seeing my fans read the way they do, well it’s beautiful and that’s what keeps me going. As long as I’m having fun then I’d consider my life a success. Get your copy of Collide here! Ram talks all about UnKonscious, Grotesque and 2018!